Valued among our customers across the world for manufacturing, supplying and exporting a broad array of optimum quality Ejector Systems & Condensers, Jet Vacuum Systems Pvt Ltd. came into existence in the year 2007 at Vadodara, Gujarat. we offer a wide range of Water Jet Ejector, Steam Jet Ejector and many more. Appreciated for their high performance, rugged construction, low maintenance, minimum energy consumption and longer severing life, the offered range is used in pharmaceuticals & drug industry, fine chemicals, textile industry, paper industry, evaporation and lab application in chemical industry. On-time delivery of the offered range of ejector systems has helped us in winning the trust of our valuable customers. With our large production and storage capacity, we have been able to take bulk orders. By conducting various quality assurance procedures, we assure that the premium quality of the offered range is never compromised. We have appointed a team of experts and set up a huge infrastructure facility to meet the precise needs of our valuable customers in the most efficient manner. We also follow customer centric approach and transparency in all the business dealings, to meet the utmost satisfaction of our customers in the most efficient manner. Manufacturing, Services, Trading and Exporter of Vacuum Ejector Systems. We believe that our efficient and hard working team, which holds expertise in its area of work, has helped us in attaining a commendable and remarkable position in this domain. Equipped with in-depth knowledge and vast experience of this domain, our professionals have been able to cater to the precise needs of our valuable customers in the most efficient manner. 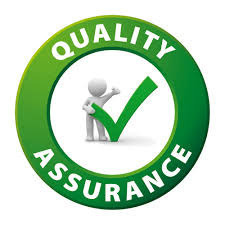 Quality of the range of products offered by us is always maintained through various quality assurance procedures conducted by our team of quality controllers, which is trained at regular intervals of time. By providing our clients excellent grade product-line, we have set a benchmark in the industry. We manufacture the product using optimum quality raw material and advance technology equipment. Our organization has recruited expert quality auditors to examine the quality of the offered products, since the time of procurement till the time of their final dispatch. We have also developed a comprehensive quality management program for the valued clients. Furthermore, we make sure to upgrade and enhance the quality of the products in accordance with the prevailing trends of the industry. Backed with the efficient workforce and well-equipped infrastructure, we have been able to cater to the precise needs of various industrial applications. Our product range is known for their efficiency, durability, performance and longer functional life. In addition to this, our ability to manage bulk demands has helped us in catering to a clientele across the nation. Large production capacity coupled with spacious warehousing unit, has helped us in completing bulk demands of ejector systems in the most efficient manner. Due to our speedy transportation facility, we have been able to deliver the offered range within the assured time frame at the customers’ end. Cost-effective prices, client-centric approach, strong financial position, total quality management and exquisite quality have helped us in attaining a commendable position in this domain. We have testing facilities and pilot plant facilities for Evaporator testing and ATFD testing at our premises. 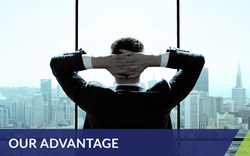 We have a vast client association and catalogue which spreads doemstically as well as internationally.